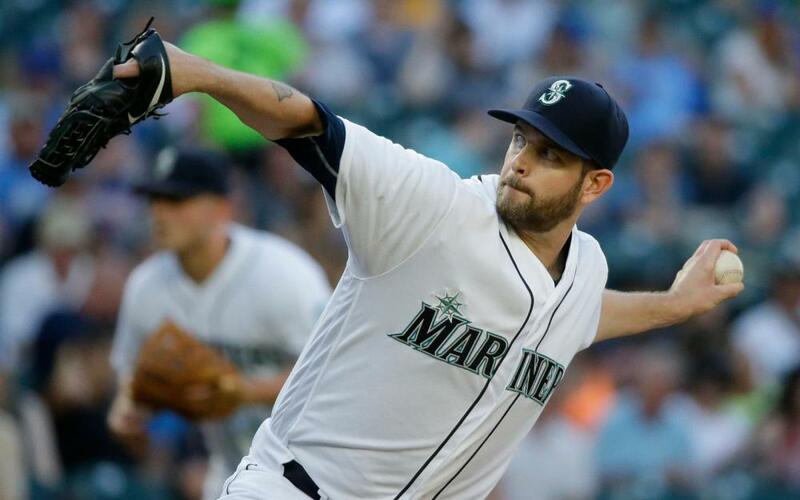 James Paxton, Seattle Mariners - Paxton was scheduled to start for the Mariners on Tuesday but after having his back tighten on him a bit after Saturday's bullpen session, the Mariners decide to skip his start this time through the rotation and give him a bit more rest. The idea here is to hopefully avoid his back injury from getting worse by missing one extra start, and the team is expecting him to just miss the one trip through the rotation. As a Paxton owner, this does make me slightly nervous due to the injury issues he went through last year, but the team being proactive about keeping him healthy is definitely comforting. Zach Britton, New York Yankees - Britton was dealt from the Orioles to the Yankees in return for three pitching prospects, with the most notable being Dillon Tate. Britton will now slot in the bullpen for the Yankees but his fantasy value will take a huge hit with him not getting saves anymore, and with him being a lefty like Aroldis Chapman we can't even say that maybe they'll do things matchup based. Brad Bach likely takes over the immediate role as closer in Baltimore but with his name being floated in trade talks as well, we may end up seeing Mychal Givens get a shot at their one save opportunity a week. Jose Berrios, Minnesota Twins - Berrios bounced back from his last start in a big way Tuesday tossing seven shutout innings and striking out nine batters. He also allowed just four hits and walked one, a steep drop from the nine baserunners in six innings with six runs allowed. Berrios is having an outstanding season building off last year with a 3.48 ERA and 25% K%. His swinging strike rate has jumped by 2% this season and he's also seen his contact on pitches out of the zone drop by 6%, so we can almost say that the 2% jump in K% from last year is actually on the lower side of what it should be. Willie Calhoun, Texas Rangers - Calhoun hit his first homer of the season while going 1-for-4 at the plate as his struggles continue after getting called up late last week. Calhoun is one of the better pure hitting prospects in baseball but his defense is what could keep him from getting consistent playing time somewhere. Calhoun got off to a dreadful start in AAA after not making the team out of spring training but was slashing .306/.360/.444 at the time of his call-up. He's a name to just keep in the back of your mind right now in case this homer might jump start something. Yoan Moncada, Chicago White Sox - went 2-for-5 at the plate Tuesday with his 13th homer of the season. Moncada's strong start to the season has taken a turn as he's slumped to a .234 average and a 101 wRC+. The one saving grace to Moncada's season is that when he does make contact (33% K%) he hits absolute missiles with a 38% hard hit rate.